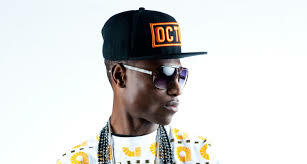 Octopizzo and Cece Sagini have joined forces to drop a brand new song called I’m A Doer. “I only work with the best and fresh new talent that’ you don’t here on radio. I rarely do collabos but when i do, I promise it’s always straight fire!” he shared. This is probably one of the biggest collabos for Cece, who first appeared on Jimmy Gait's ‘Appointment’ has been working hard, writing her own songs since she was 11 years. Unlike the song Octo did with Sage I’m A Doer is a little bit relaxing and slower, Cece singing most of it. The song, posted on Youtube two days ago has clocked more than 6500 views already.